The Light & Motion GoBe is a visionary reinvention of the flashlight. 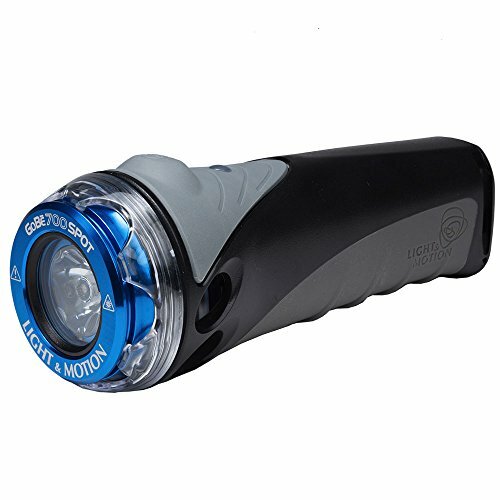 Its USB-rechargeable body connects to a variety of interchangeable light heads, allowing use for any activity from biking to hiking to kayaking to SCUBA. Waterproof to 120 meters, factory-sealed batteries, and above all, bright LED heads make GoBe the most versatile light in the world. The 700 Spot has a tight 10 degree spot beam for ultimate light penetration. Backed by Light & Motion's 2 year enhanced experience guarantee when purchaed from an authorized seller.